We are so amazed at the diversity of motivations cited by women who undergo breast enlargement operations that we decided to write this patient guide detailing interesting experiences with breast implants to share our findings on the subject. 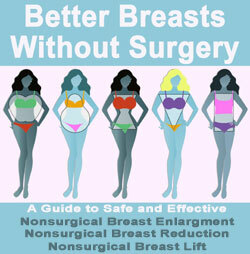 So many women desire larger, fuller breasts and go through invasive surgery in order to achieve their goals. They choose breast augmentation to mold their bodies in the manner that fits the internal or external motivating factors which compel them towards a new anatomical image. There are many reasons why women might want to get breast implants, ranging from typical and widely-held to shocking and highly personal explanations. We here at Breast-Plastic-Surgery.Org have seen and heard all the possible reasons why women choose to receive breast implants. We have also been actively involved in charting various aspects of patient satisfaction outcomes in the aesthetic field for more than a decade. We decided to take this opportunity to explore some of the many explanations we have recorded that drive women to undergo surgical breast enlargement. Additionally, we will provide factual data that might support or contradict many of these motivations in order to better assist women who are still mired in the decision process regarding breast implants. This essay seeks to expose the most popular reasons for wanting implants and then balances these motivations against facts which are relevant to each motivating factor. Most importantly, we will detail how most women feel after surgery, depending on the motivating factors they cited prior to their operations. This is surely one of the most interesting of all the discussions contained on this website and we hope that you will find it useful during your own body image improvement journey. Women’s reasons for wanting breast implants are as diverse as the women themselves. There is no cookie-cutter explanation for the decision, but most women fall into one of the four categories detailed below. 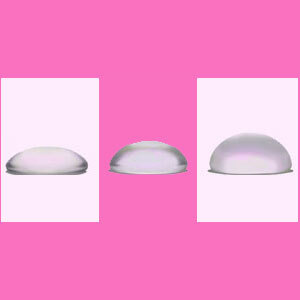 Category 1: Some women decide that implants are right for them in order to advance career prospects. These women might be actresses, models, escorts, adult film stars, dancers or involved in other occupations where large breasts are deemed to be assets. Many of these women cite being advised by a manager or mentor to undergo the procedure, rather than specifically choosing the path for themselves. Category 2: Many, many women choose to receive breast implants to please their mate. Heterosexual women tend towards this explanation much more than homosexual women. Category 3: Some women decide that breast implants are right for them simply out of internal motivations to be more proportionate, more voluptuous or otherwise subjectively more attractive and desirable. Category 4: The final major category of women who receive breast implants actually undergo breast reconstruction, rather than simple cosmetic augmentation and do so to resolve the effects of injury, disease or mastectomy. Category 1 Facts: There is little evidence that breast implants help women in any of these professions to earn more money. The exceptions to this rule are feature dancers in the adult entertainment industry and some adult film stars who work in niche genres. However, counterbalancing this fact is hard evidence that many adult film starts lose popularity once they undergo breast augmentation. This is particularly true for younger women who work in the adult film industry. Category 2 Facts: Many psychologists warn that undergoing cosmetic surgery to please a mate is generally a very bad idea. Relationships can be transient and any person who would want you to change might not care much for you, but instead may simply want you to become what they desire on a superficial level. Category 3 Facts: Internal motivations are always deemed the most sound by mental health professionals, as long as the desires are given careful consideration and do not qualify as whims. Internal motivations might be the most subjective, but are also geared directly towards increasing happiness and satisfaction in life, making them worthy objectives. Category 4 Facts: Plastic surgery provides virtual miracles for women who have been traumatized by injury, disease or surgery that has cost them one or both breasts. Reconstruction mammoplasty is one of the very greatest uses of plastic surgery in the aesthetic sector of medicine. No one would dispute this fact. Category 1 Outcomes: Most women who undergo augmentation for career prospects are satisfied immediately, but eventually lose their enthusiasm. 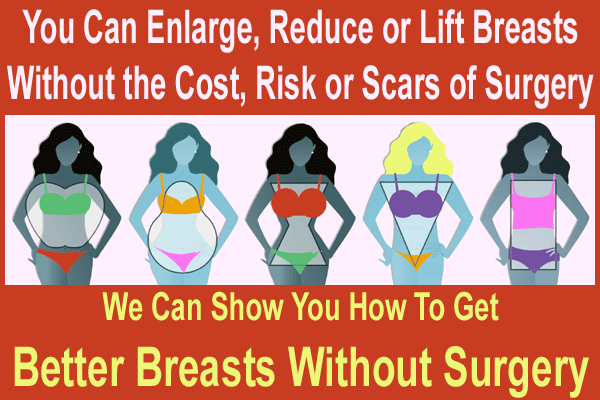 Many of these women leave the fields of work that encouraged the operation and find their often very large and obviously enhanced breasts to be liabilities in some other career fields. This is certainly not a rule, but does account for at least one third of women in this category. Since many women in this population are still young, this percentage might increase as age catches up. Category 2 Outcomes: Of all the categories, women who elect to receive breast implants to please their mates are the least happy with their decisions. Up to half of these women regret their surgeries and often also regret the relationships that drove them to such drastic action. Category 3 Outcomes: Women who do their due diligence and really think about breast implants are usually happy with their choices to undergo augmentation. When women have long-standing desires for particular body image goals, they are very relieved to eventually satisfy these goals and attain the body image they have dreamed about for so long. The notable exceptions to this rule are women who suffer significant implant complications that really spoil their surgical journeys. Unfortunately, this percentage reaches as high as 15% of the total category 3 population. Category 4 Outcomes: Breast reconstruction patients fare the absolute best among postoperative implant recipients. These women tend to have a real need to undergo the procedures and are so thankful at the benefits they gain. If complications occur, they are usually managed calmly and rarely diminish the overall satisfaction with the decision to receive implants. Overall, positive outcomes for reconstruction mammoplasty recipients exceed 90%, making this the most benefited of all patient demographics.